Tata Power Solar on 3 July was conferred with the India Solar Week Excellence Award 2017 in the '100 MW or below' project-based category for excellence in commissioning a 100 MW solar project for National Thermal Power Corporation Limited or NTPC in Anantapur, Andhra Pradesh. The excellence awards, acknowledged as India's largest utility scale solar energy event felicitated best performing companies, projects, innovations and players for their achievements and positive contributions to the solar sector. The event, into its fifth edition, was held from 21 June to 23 here at Aerocity. The acclaimed 100 MW solar project is the biggest solar project commissioned using domestically manufactured solar cells and modules. The project spread over 500-acre land is set up in partnership with NTPC. Executed nearly three months ahead of the stringent timelines, the project is designed to produce nearly 160 million units (kWh) of energy annually and help offset approximately 110,000 tonnes of CO2 in the first year. The plant states of innovative design of Balance-of-System (BoS) and cabling, along with optimised selection of evacuation systems. "This award is recognition of the tremendous hard work, experience, alignment, commitment and an objective of making a true " Make in India" project which has been delivered ahead of strict timelines. 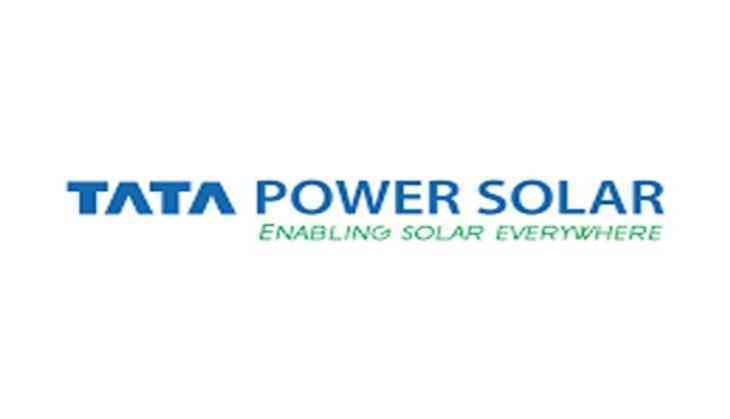 The project has demonstrated our commitment towards safety and an outcome of 1.3 million safe man hours put in to deliver this benchmark in terms of quality and pace of delivery," said Ashish Khanna, ED and CEO of Tata Power Solar. India Solar Week excellence awards 2017 is recognised as the largest gathering of the entire solar value chain. The event was attended by over 250 participants and delegates across the globe. Awards were constituted by an independent jury on an array of pre-defined project execution criteria. With a remarkable 27 year run, Tata Power Solar has cumulatively executed 605 MW projects in the utility space, of which 305 MW is in FY 2017.